There is an excellent essay in Julian Cope’s ‘The Modern Antiquarian’ on ‘Silbury and the Sacred Hills of Britain.’ Glastonbury Tor, Montacute, Burrowbridge Mump and Brent Knoll – all present and correct. 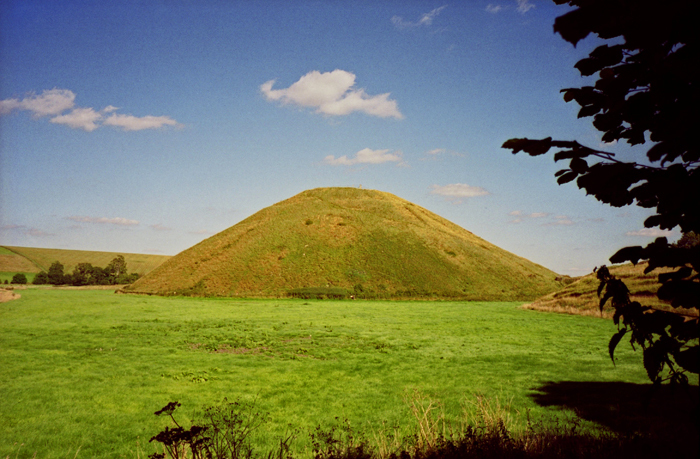 Cope calls Silbury ‘this wondrous Neolithic hill altar,’ and tells of the time he spent walking the Marlborough Downs so that he could see the relationship the Ancients spent so much time designing. Dated by archaeologists to around 2,700BC this conical shaped mound was built up of solid chalk blocks and then covered in turf. It measures roughly a third of a mile around its base so it was a huge undertaking for those who built it. Excavations have shown no sign of burials there. In Robin Heath and John Michell’s ‘The Measure of Albion’ they go into great detail about the fascinating placement of Silbury and its measurements. For those wanting to explore further into the geometry and numerology of the ancients they provide incredible insights telling us that from the centre of Silbury to a ‘significant point’ at Avebury is 18 times the radius of Silbury. They argue that ‘all is relationship’ and we have much still to learn about our sacred landscape. Often called ‘Mother Hill’ its flat-topped appearance is most striking and as far as we know has never altered for nearly 5,000 years. With climate change there has been some slight collapse of the top in recent times. Geoffrey Ashe wrote: ‘It is not simply a heap of earth, but a carefully contrived structure, built in stages. It would have required an enormous amount of labour and was clearly of unique importance.’ (Mythology of the British Isles’ Methuen 1990). Location: Beside the A4 between Marlborough and Beckhampton.